Casting Call Club : [CANCELED]. This project is about a 13-year-old fox, by the name of Frost. 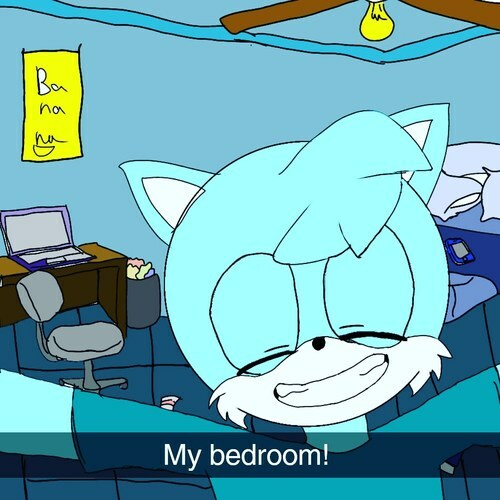 This is sonic-related. It will last for 1-3 minutes or so. This fox developed mutant abilities. He has the ability to control water. He can form any shape of water, from weapons to shelters. Throughout the story, he gets more confident in himself. But, starting at the beginning, he's a very shy fox. He relies mostly on his mother for things. He has a musical talent to sing. But, he doesn't like to show it to a lot of people. He never really tells anyone of his elemental abilities. For Frost's voice, I'd like something a bit childlike, but not too much? Perhaps a bit high-ranged. To be a character for this story, you MUST have these following apps installed: Discord, Skype, and Wattpad. Discord and Skype are used for communicating, of course. And Wattpad is for viewing the script for the characters lines. Frost's voice would be a teenage high ranged-liked voice. Quite similar to Tails but a bit deeper. Try to make it sound like a Male as much as possible, or it won't get that voice I expected. 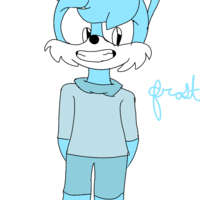 Also, since Frost is a nervous fox, make his voice shake a bit when he's nervous. Mom? I'm home! I had a great day at school today! Sonic! Wow. Is it really you? I'm a big fan! I-I Hate you! I never want to see you again! Lilian is a smart cat with the brain of a mechanic genius. She developed a slight crush on Gale, but won't tell him. She protects Frost as much as she can, knowing Gale can depend on his own himself. Make her sound as Amy, but not that high-pitched. Probably, mske her sound as much as an average female as much as possible. Frost! How are ya? I haven't seen you in a while! Ever since that fight with Doctor Robotnik. Stop! Your just too much! You never help with anything! Your the reason Frost is gone! Gale is a kind fella, that depends on Lilian to finish the job. He's not that bright of a person, but he's funny! 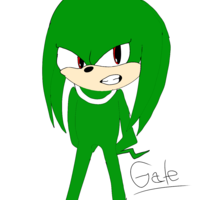 For this characters, try sounding like knuckles. But a bit buffer. Any age can voice. It doesn't matter. Sorry, Lilian. I didn't know. WHAT HAVE YOU DONE!? This entire time... you've been THERE!? N-no.. no.. i-it can't be. Mother. N-no. 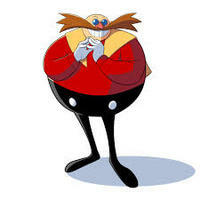 Dr. Robotnik is the lead antagonist in this movie. He is out to find Frost, and bring Frost to the bad side. You all know who he sounds like, his voice MUCH more raspier then Tails. Also, make him sound like he seems angry all the time, he's a bit of a comedic person, so when he says comedic lines, give it a ton more expression. And don't forget to add that evil tone in him. I will find you Frost! So be READY. Ms. Snow is a kind-hearted woman, and don't underestinate her by her looks. She's quite a deceiving person. Juat sound like a typical average mother. 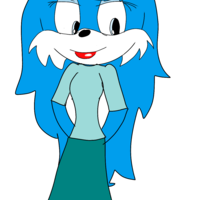 Also, a bit like rouge, but more like a mature person. She's worrysome about Frost all the time, so whenever she sees him, make her sound happy. Also, give her that Mother tone, meaning she worries about him. What! How'd you.. H-How'd you do that? Wow! The animator will be giving the character life. Bringing the character to life will be difficult, so the short animation movie will last 12 minutes. When the characters are walking, make them bounce up and down, and remember, I want the animations to be realistic, showing the effect that the character is free. So, goodluck with the auditions everybody! For this audition, your going to animate Frost jumping. 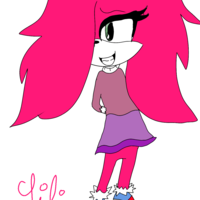 For this audition, your going to animate Lilian Blinking. For this audition, your going to animate Gale punching.